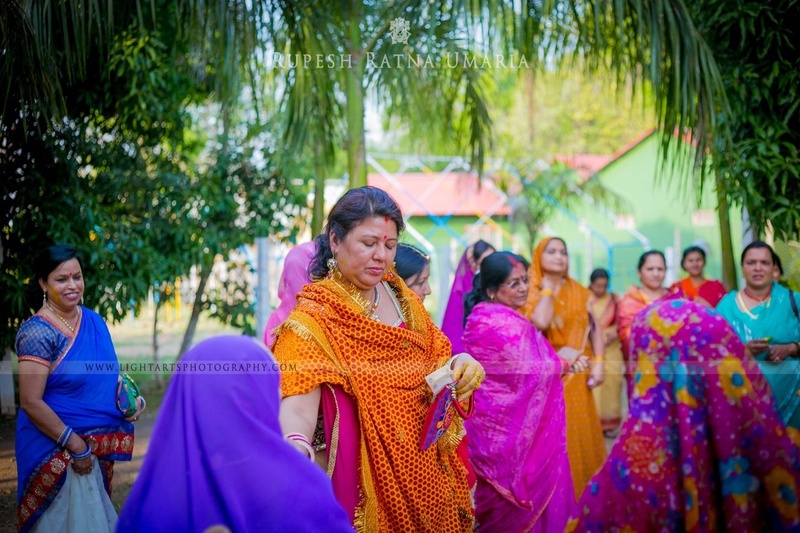 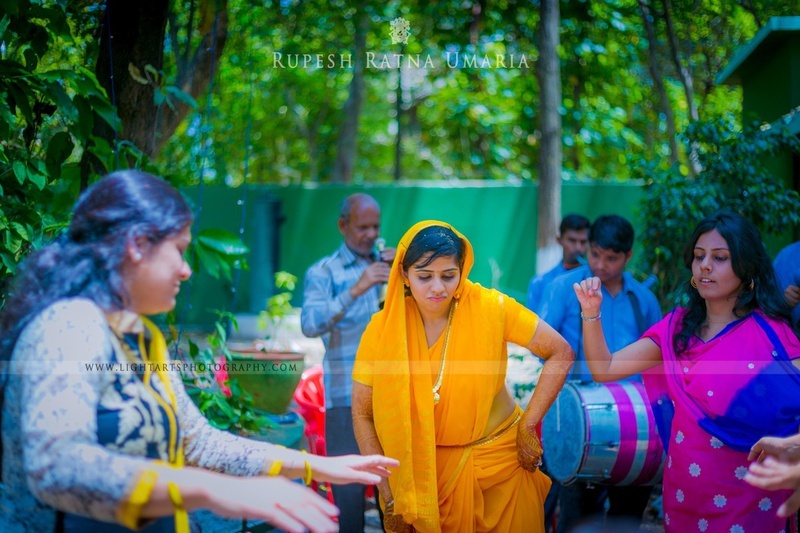 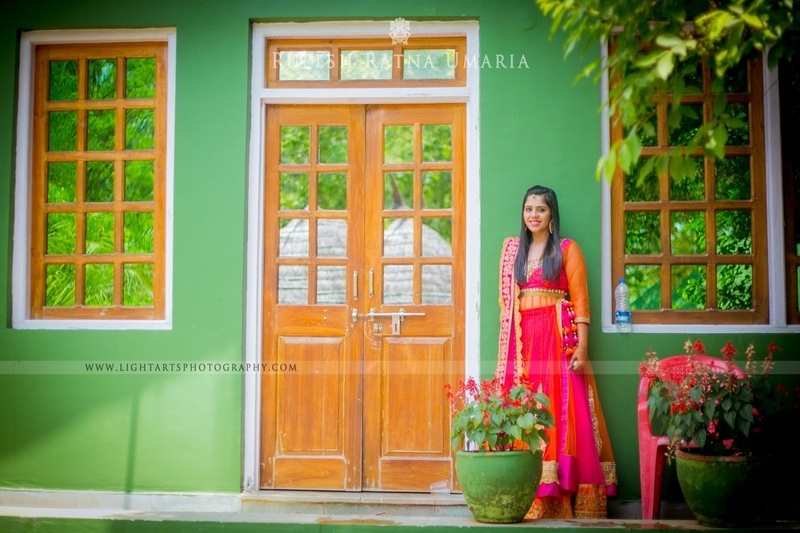 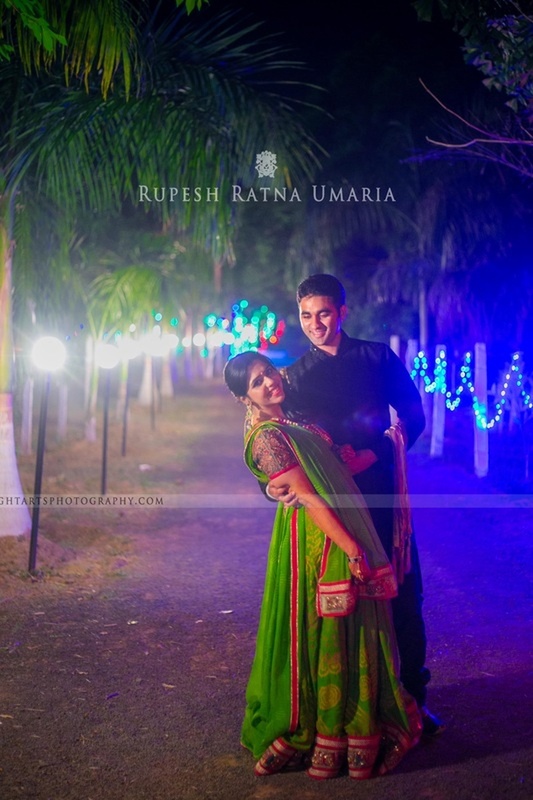 Richa and Sailesh decided to get away from the hustle and bustle of the city and host their marriage in a lush green rural area that exuded an archaic feel. 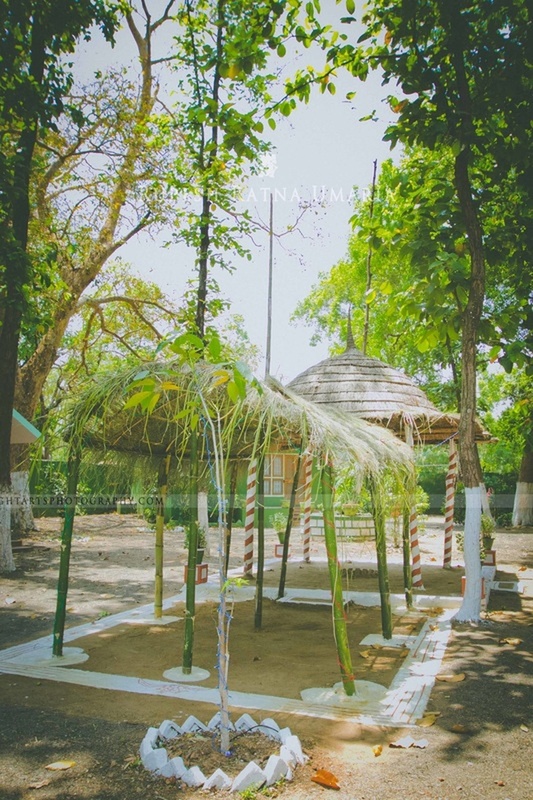 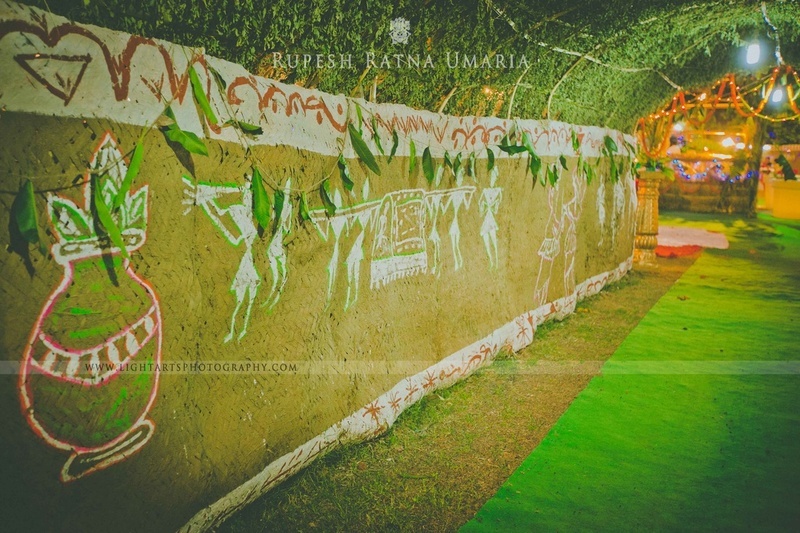 The warli patterns and the rustic hay cabanas enhanced the entire vibe of their earthy wedding. 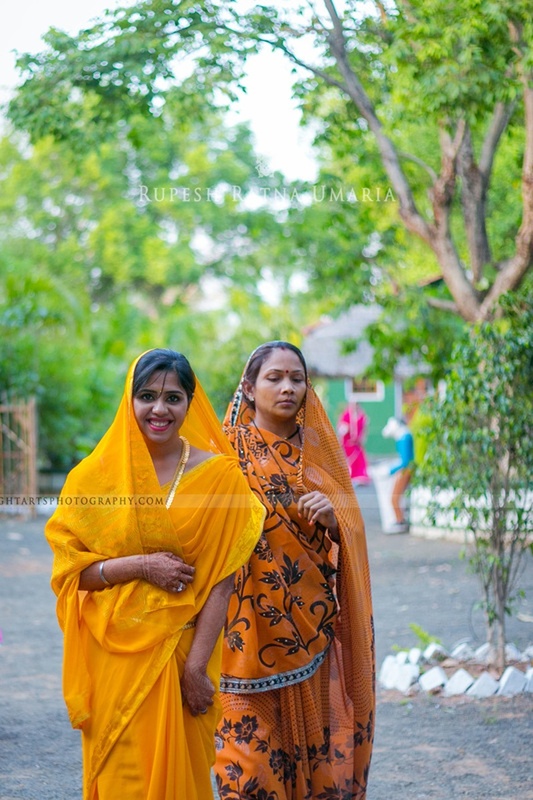 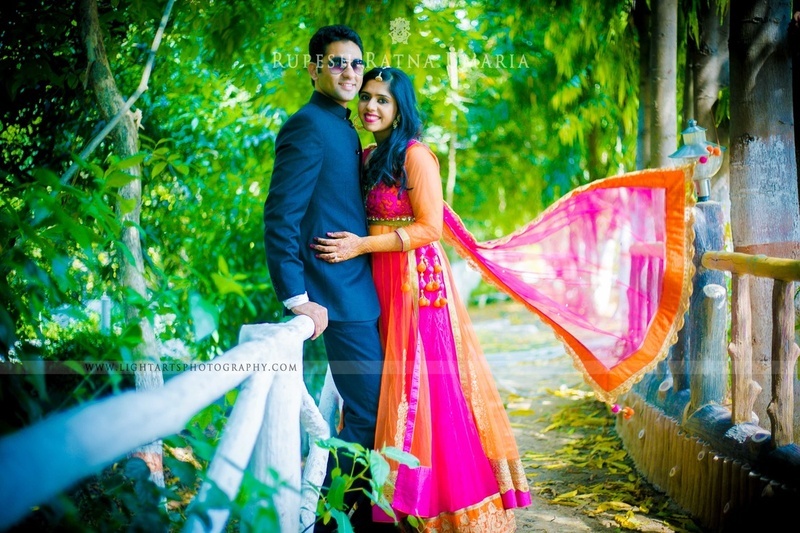 This beautiful couple engaged in a pre-wedding photoshoot dressed in gorgeous ethnic wear amidst lush green trees. 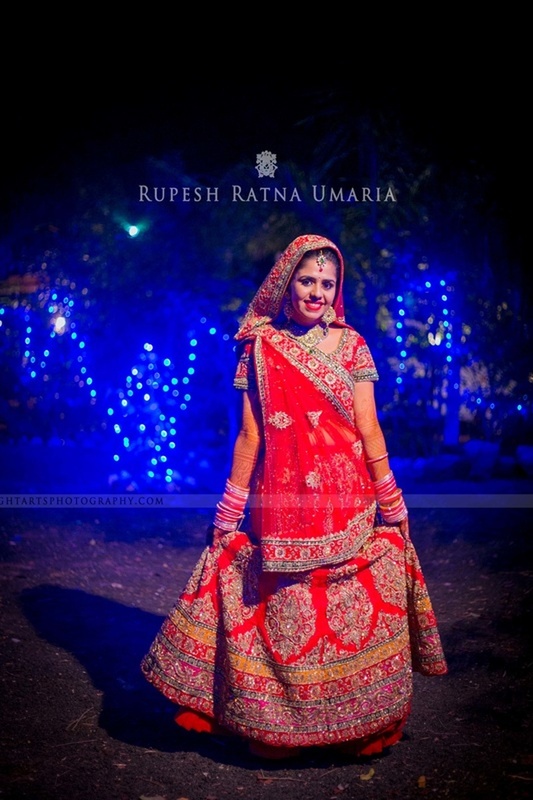 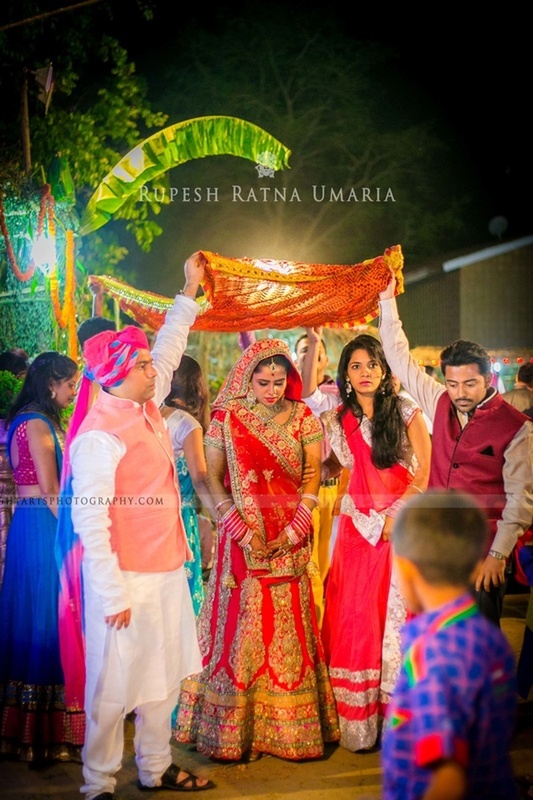 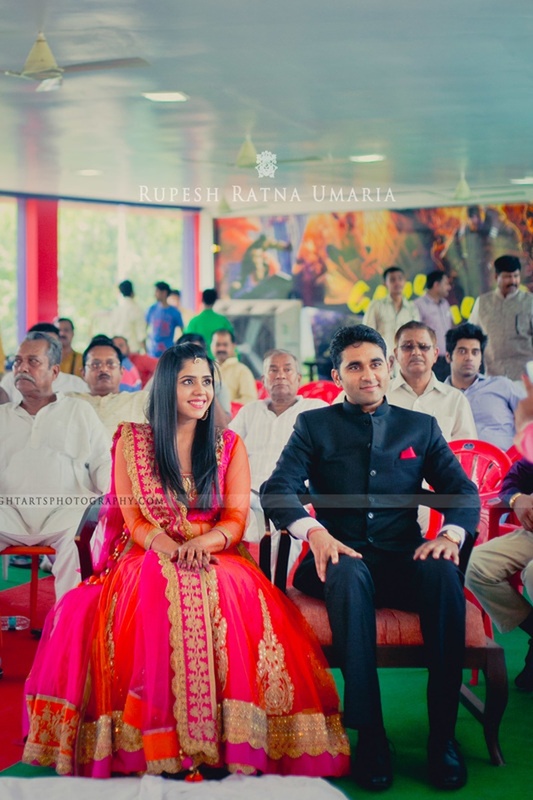 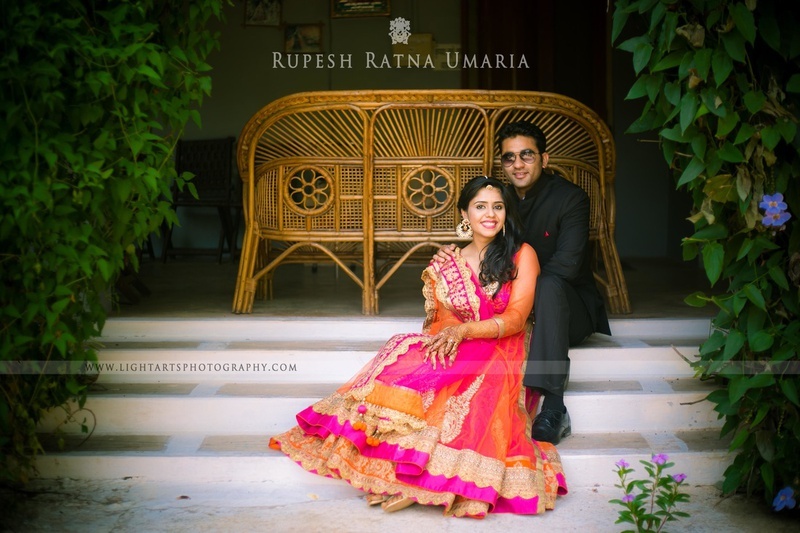 Richa looked stunning in her orange and fuchsia layered anarkali lehenga styled with a matching dupatta. 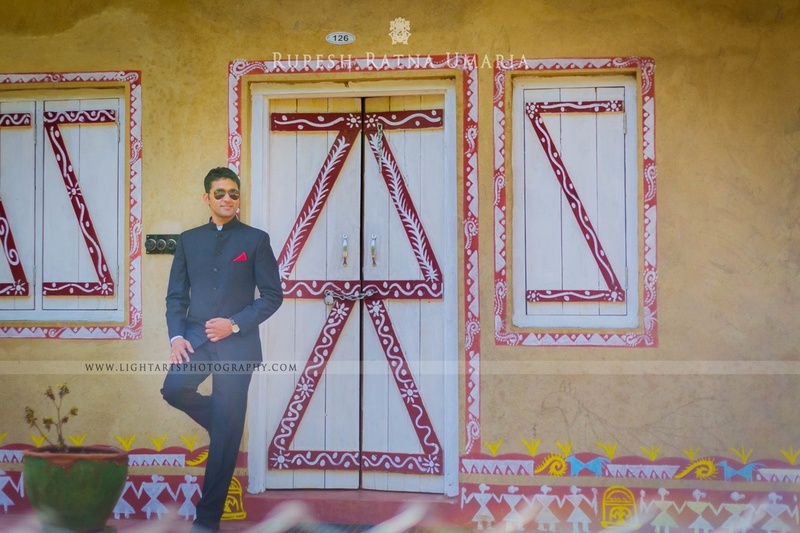 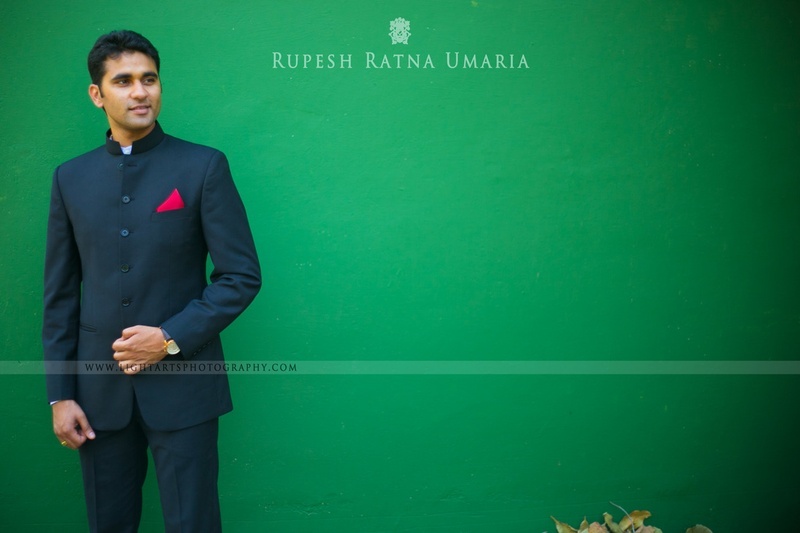 Her soon-to-be husband, Sailesh looked absolutely chic in his classy black Jodhpuri suit, styled with a red pocket square. 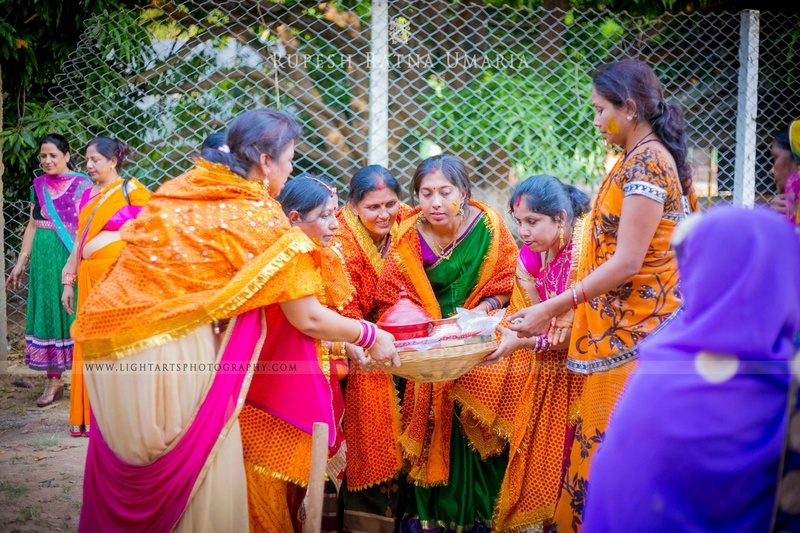 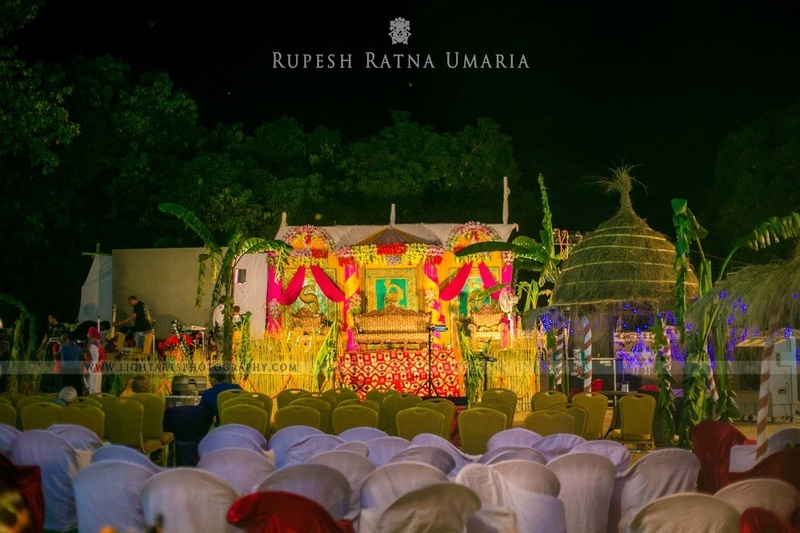 Celebrations then continued on to their open-air marriage ceremony for which the bride donned a red bridal lehenga intricately embellished with motifs, stones, and crystals. 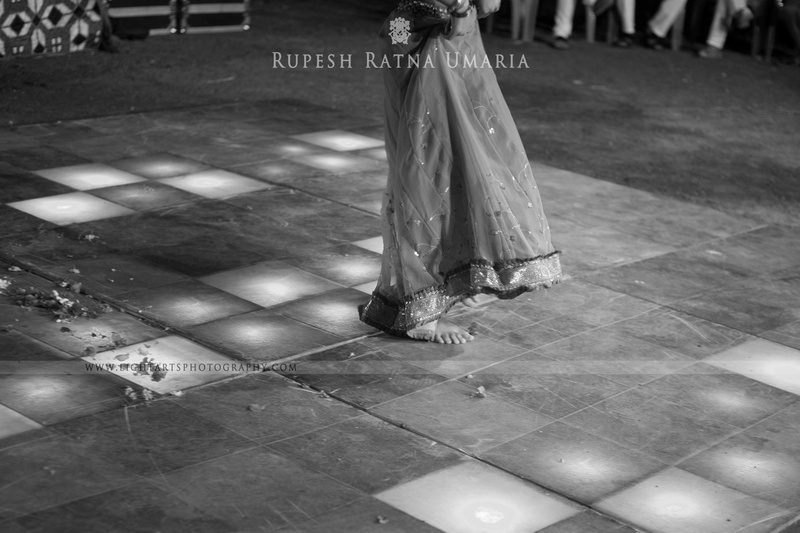 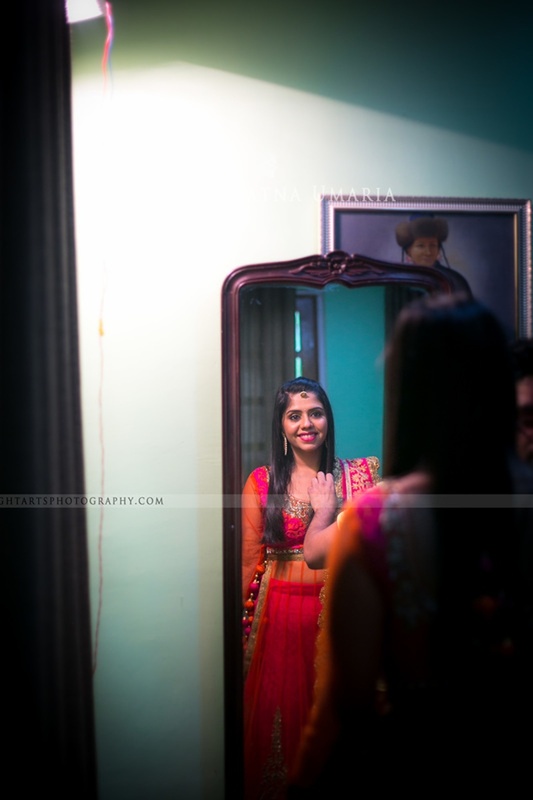 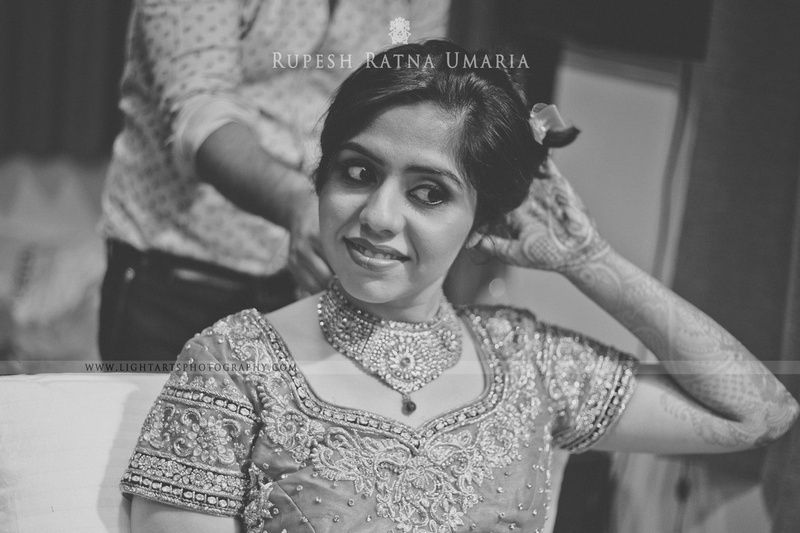 She styled her look with minimal bridal jewellery and looked absolutely stunning. 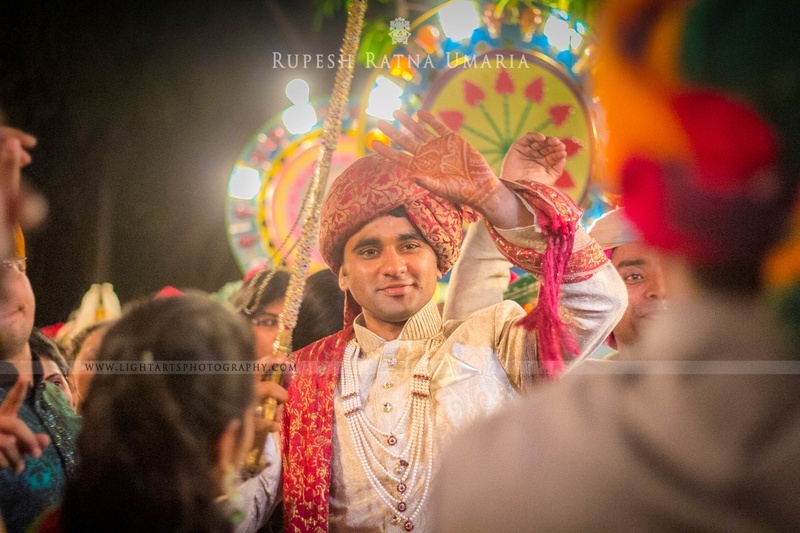 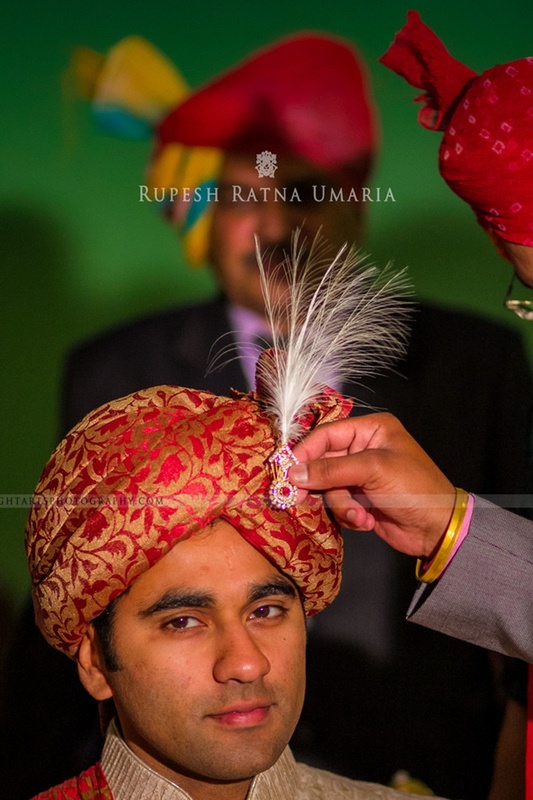 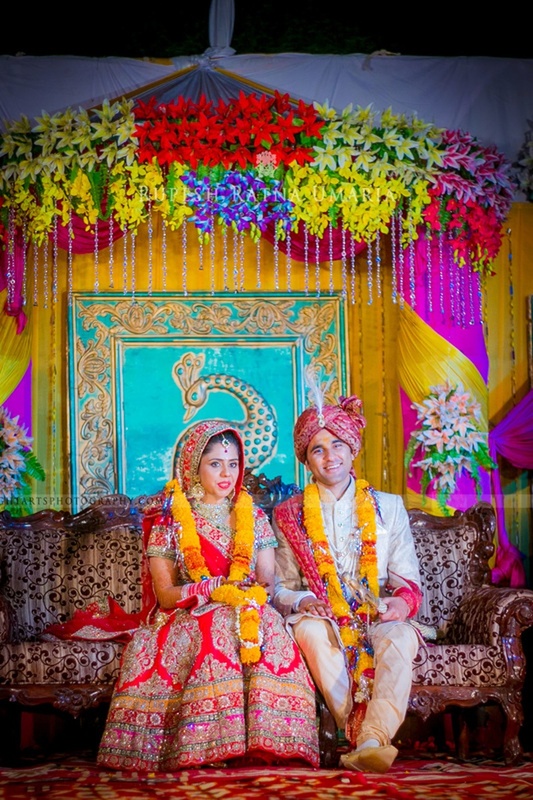 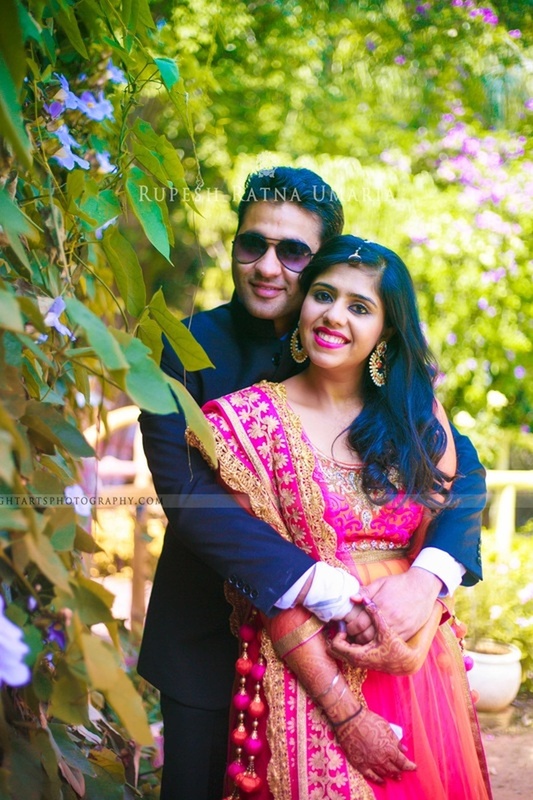 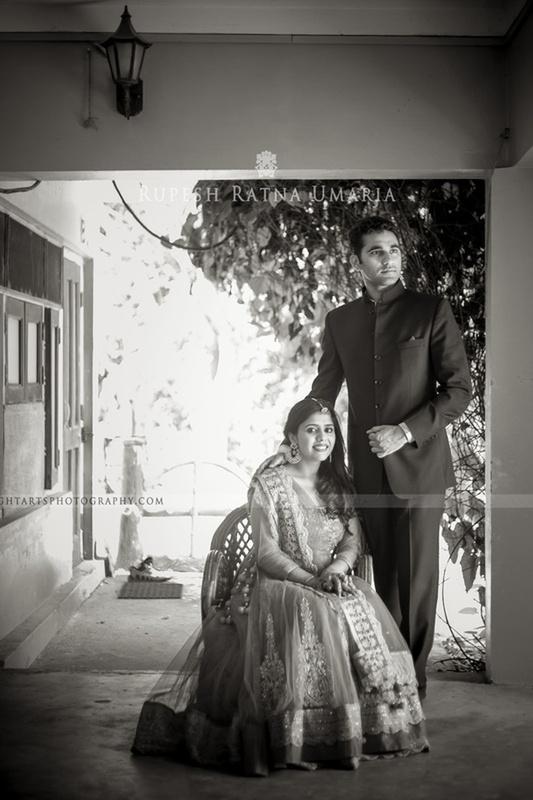 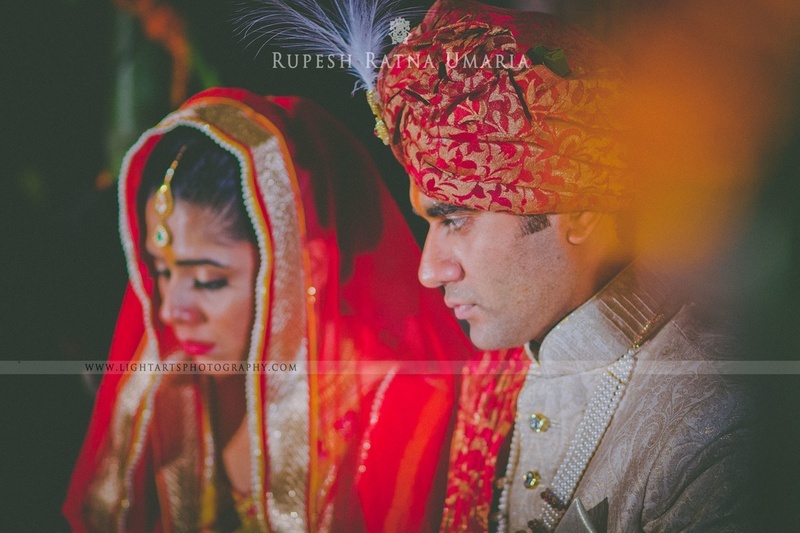 Her handsome groom, Sailesh complemented her perfectly in his beige textured silk sherwani. 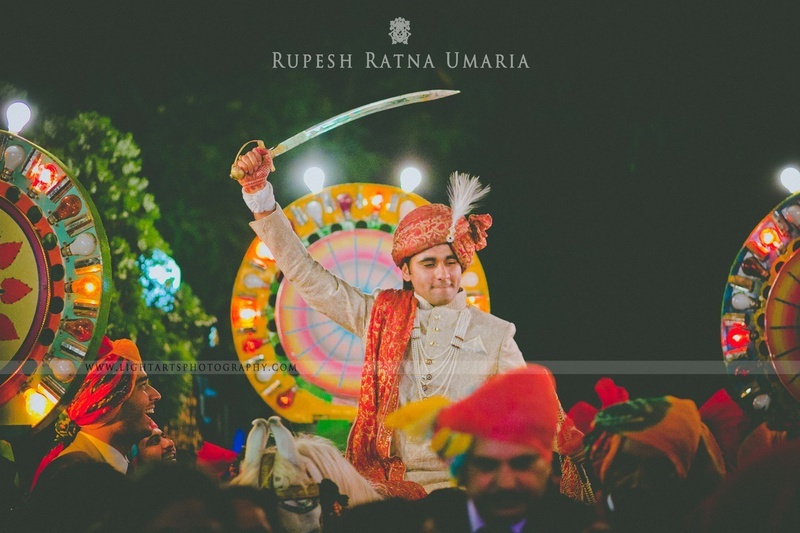 He paired his sherwani with a multi-strand moti haar and brocade safa along with a dushala. 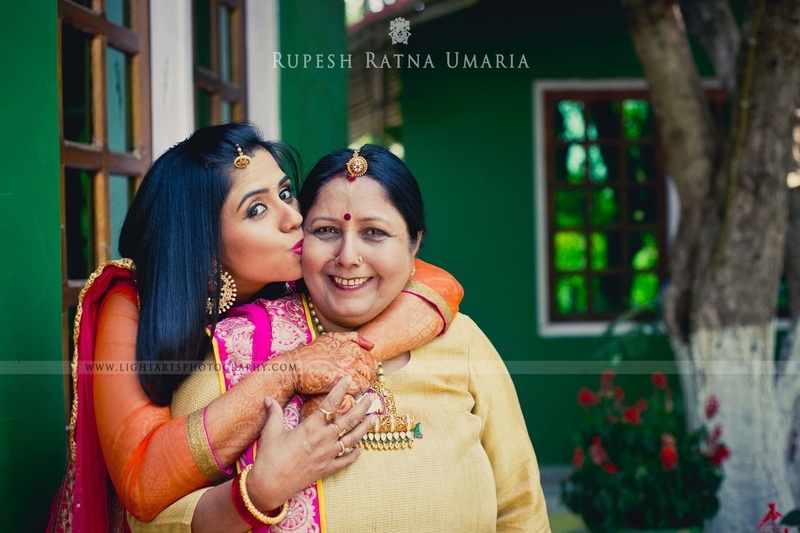 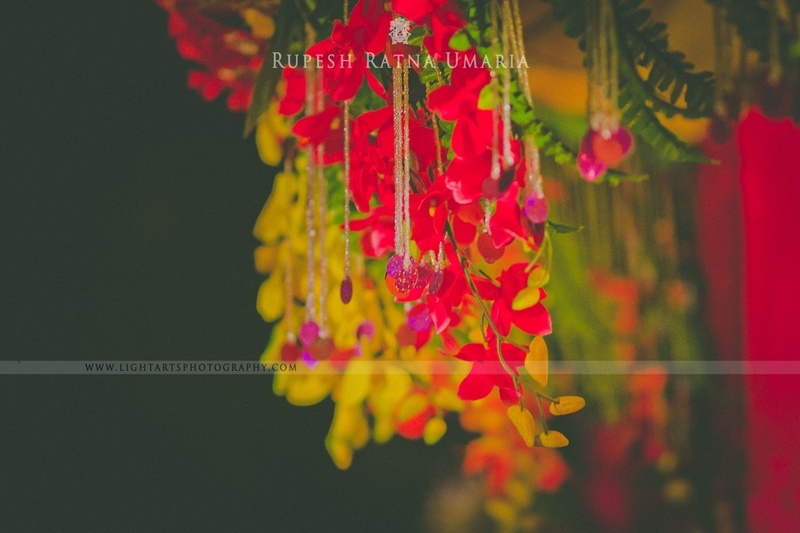 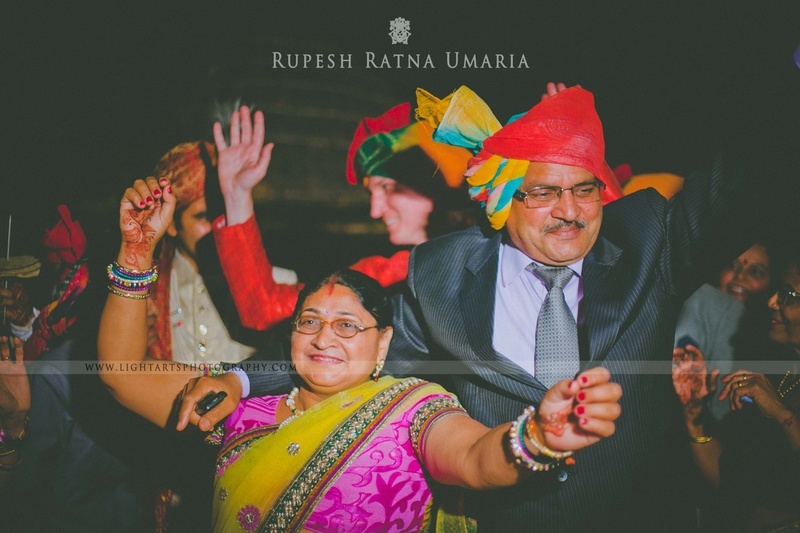 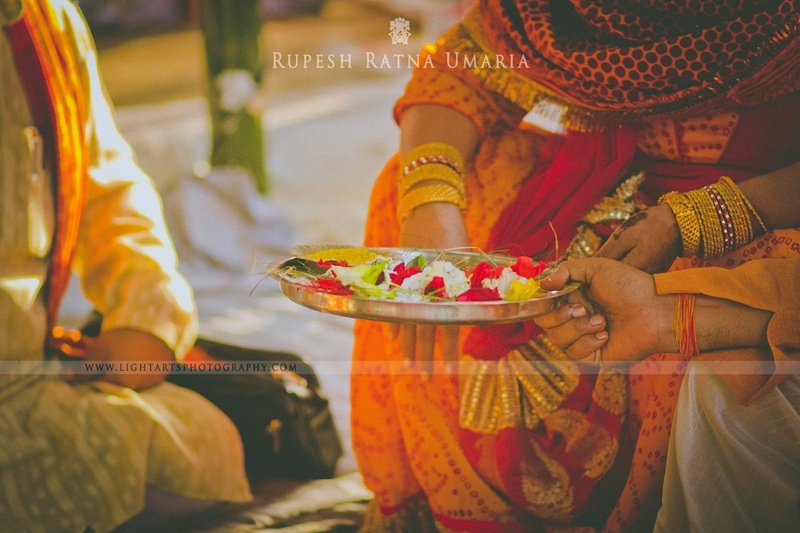 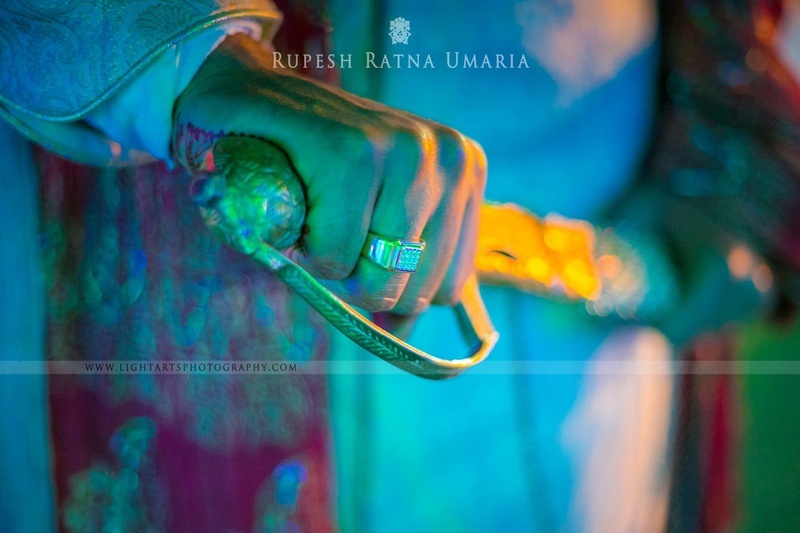 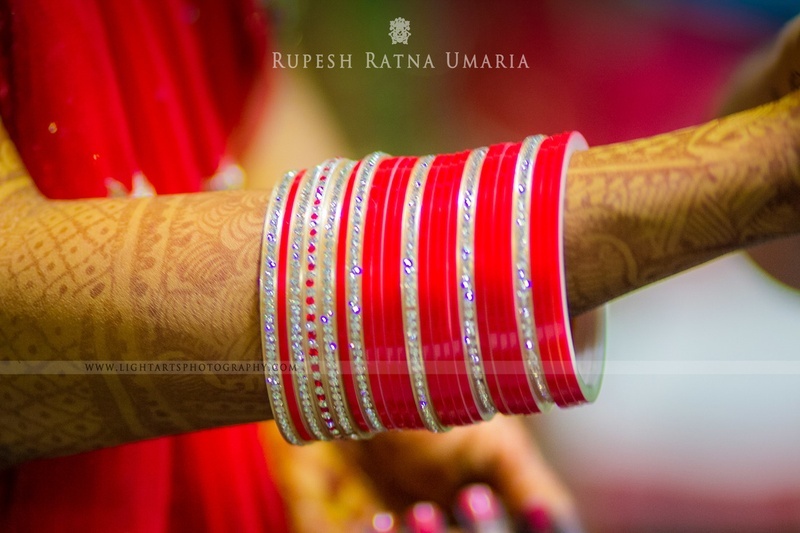 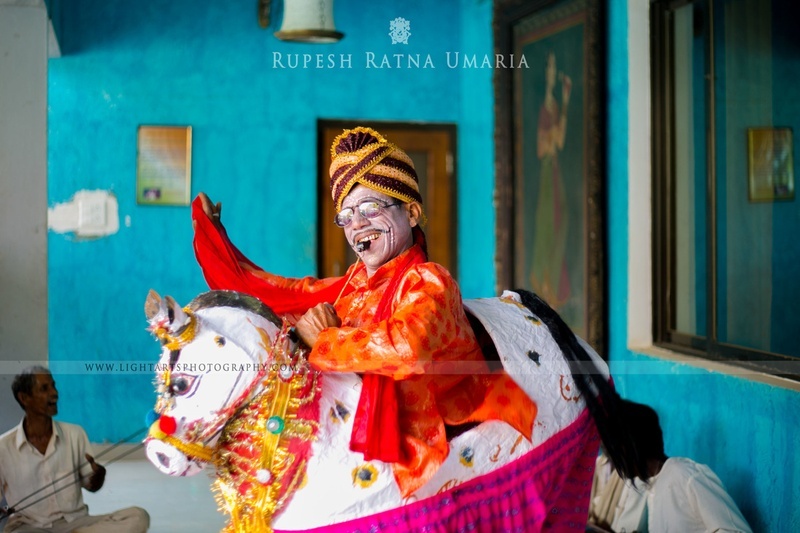 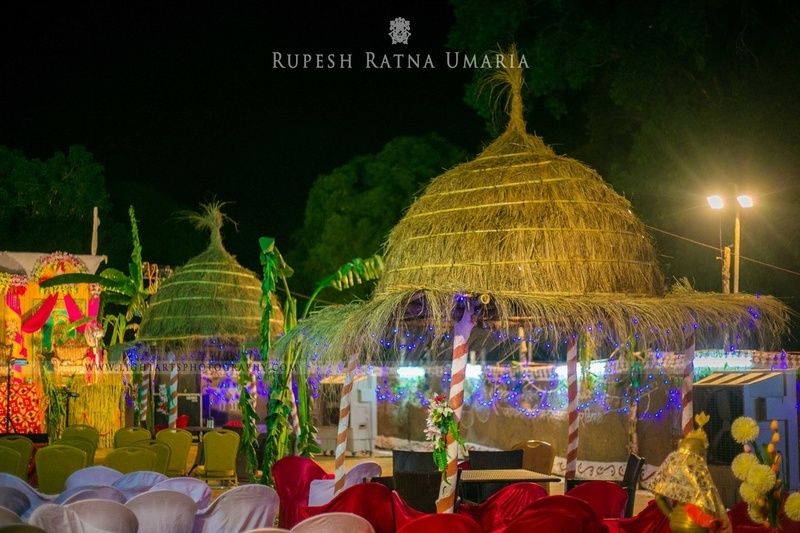 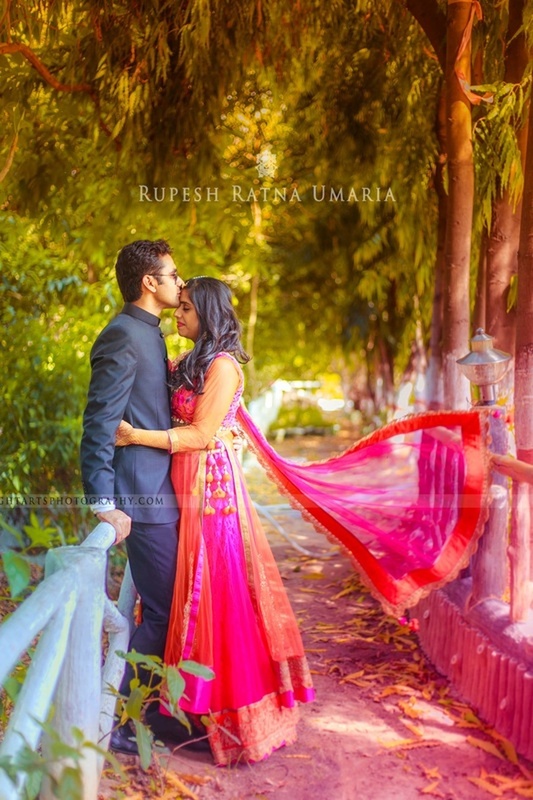 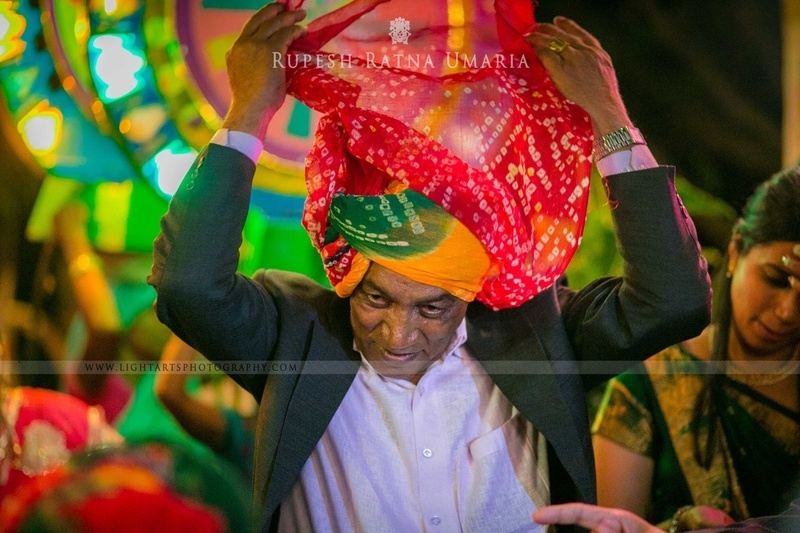 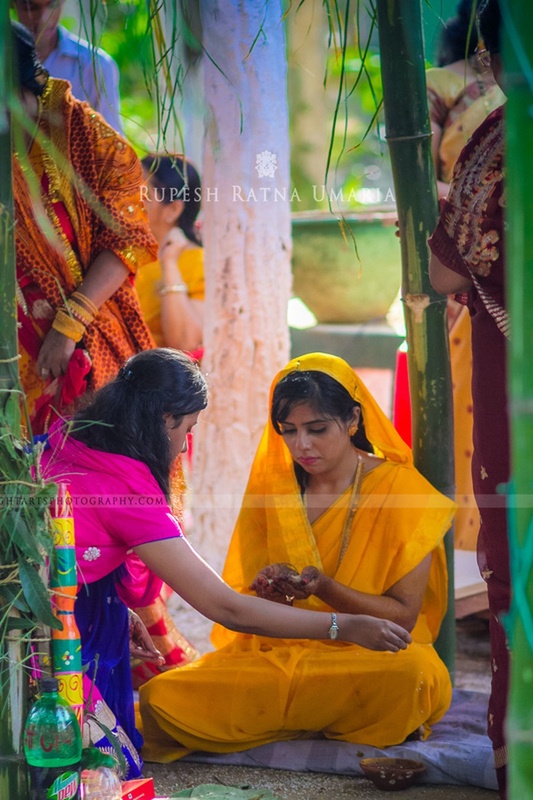 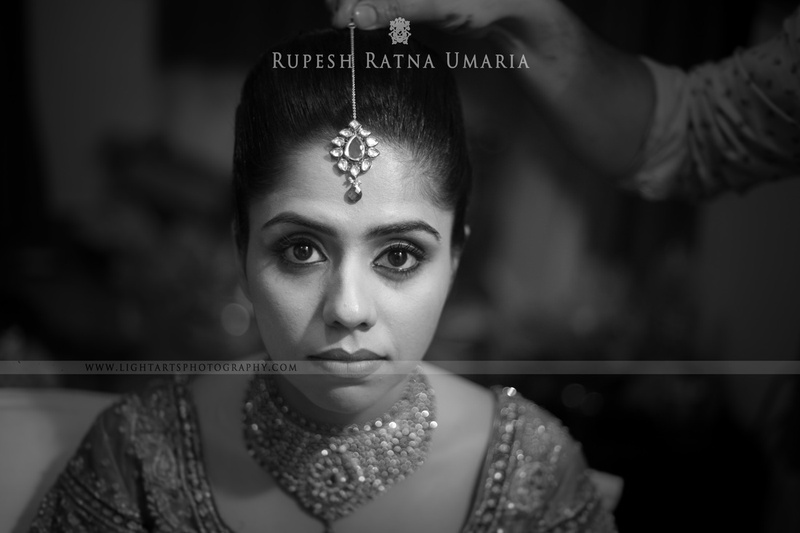 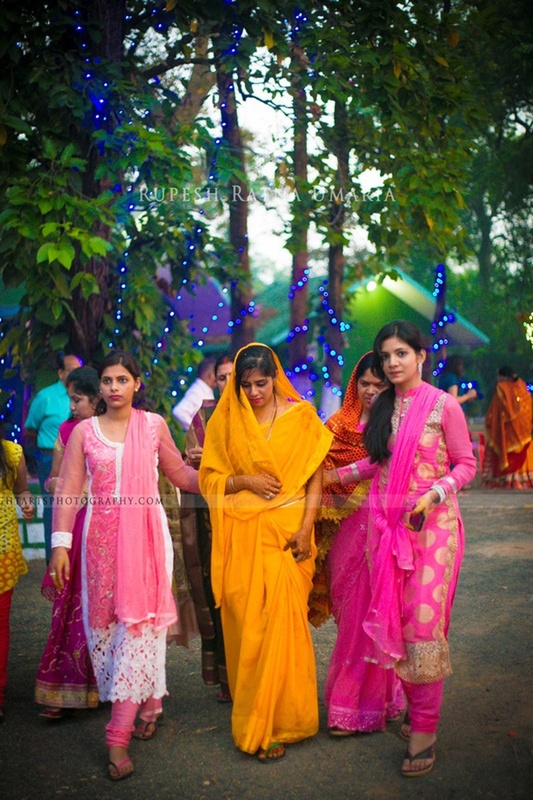 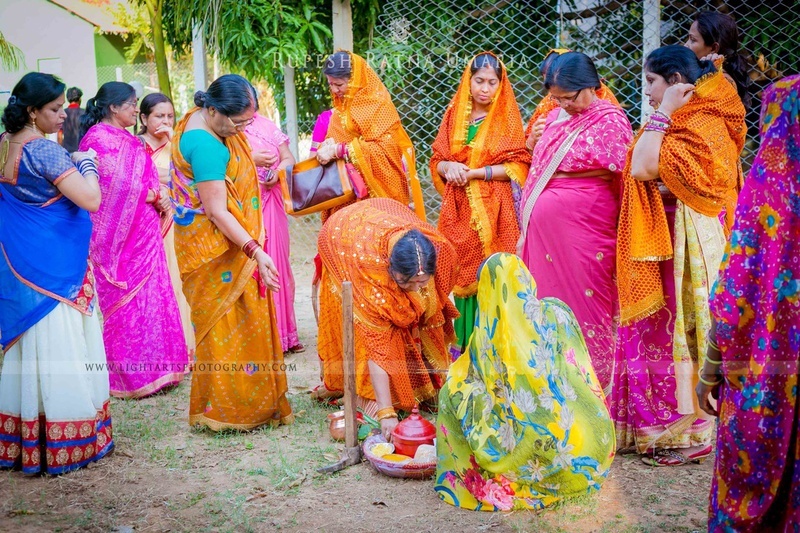 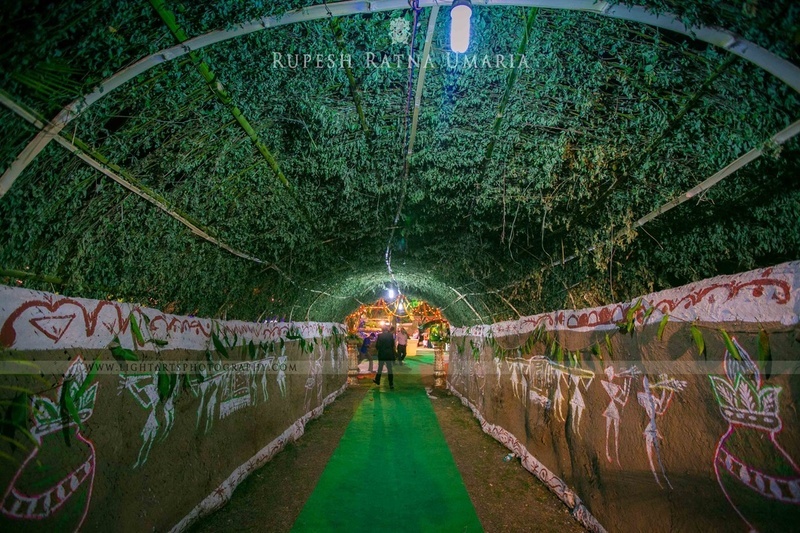 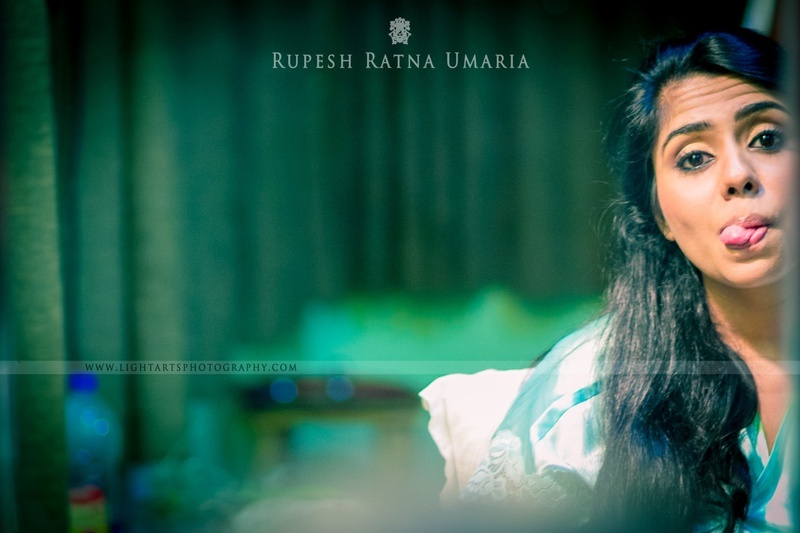 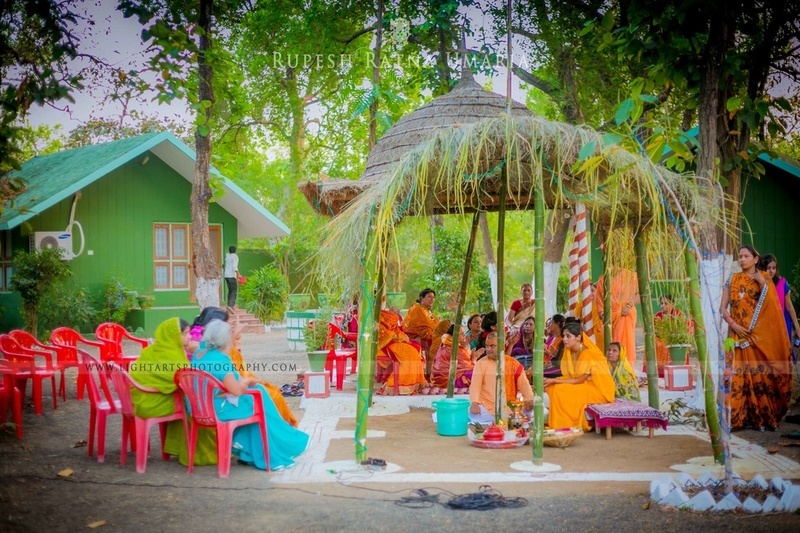 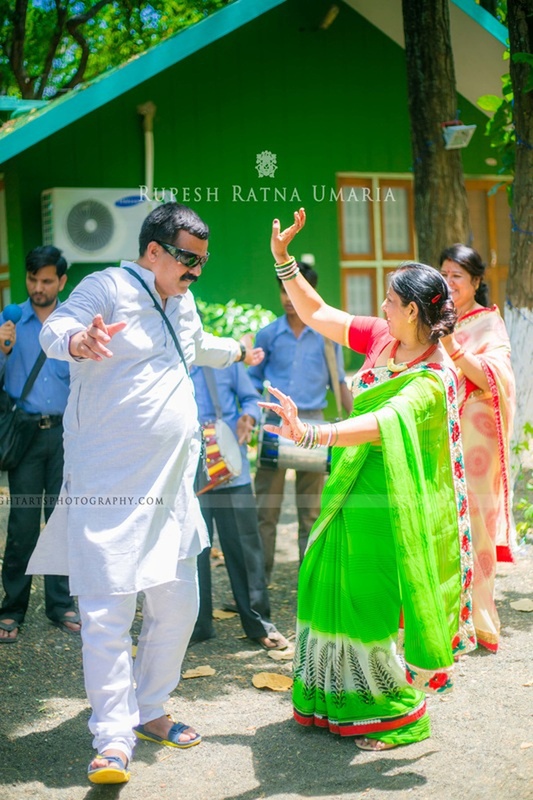 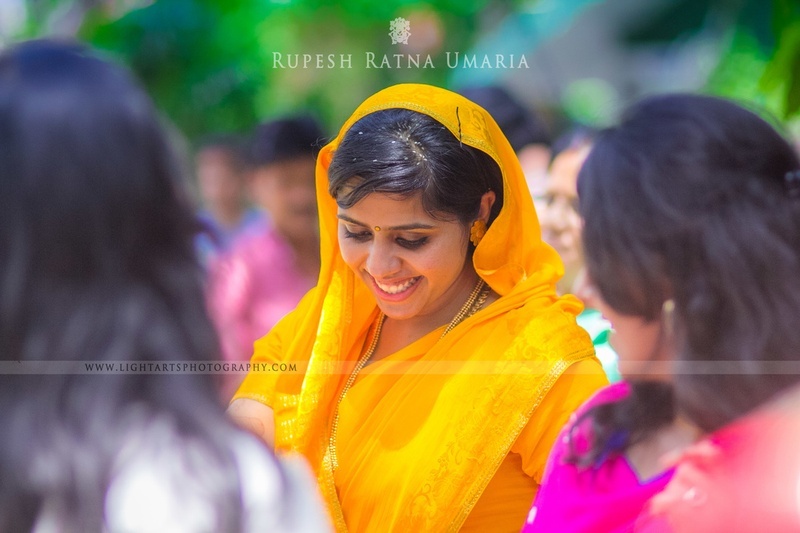 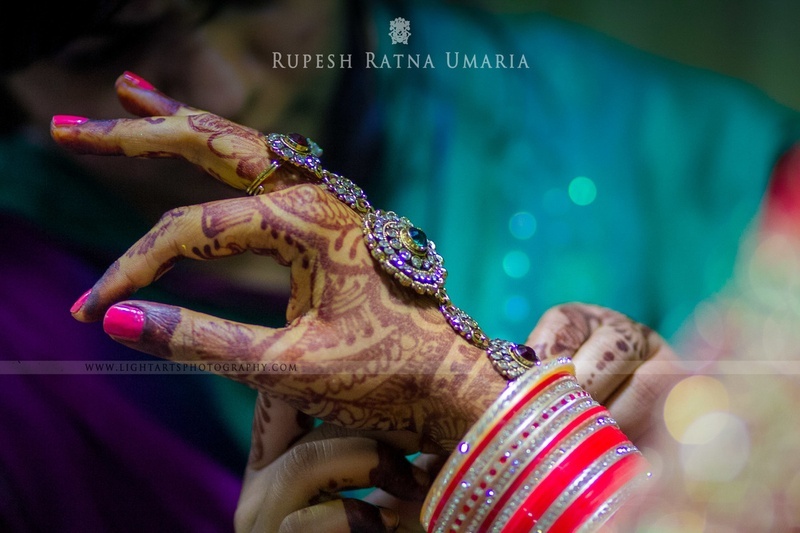 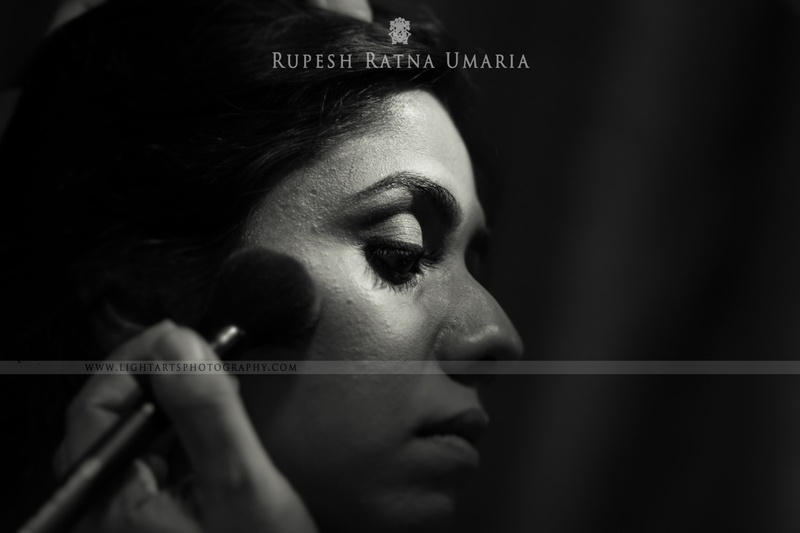 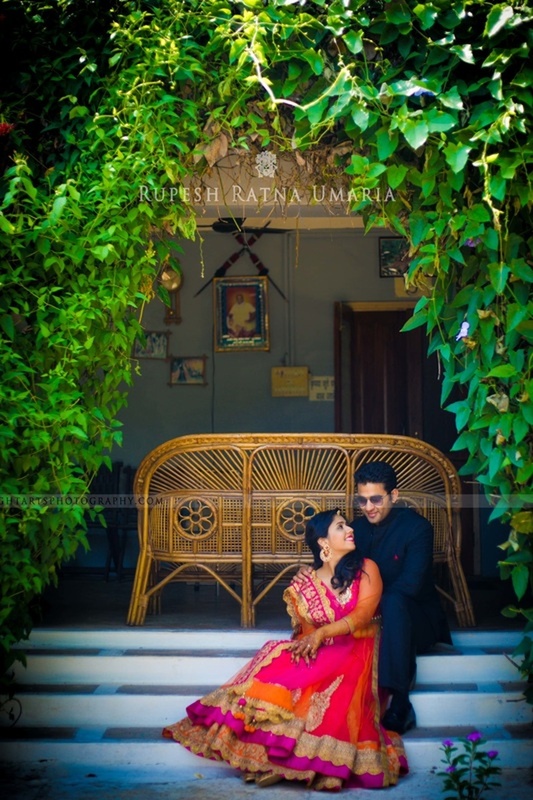 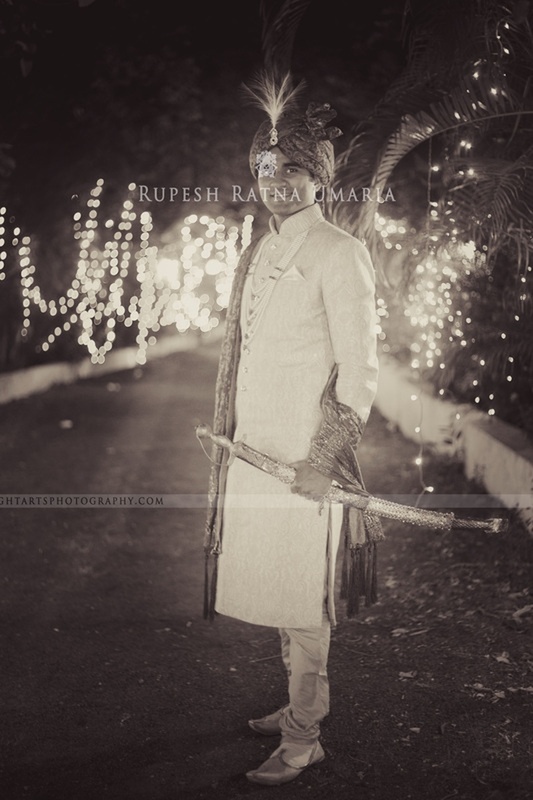 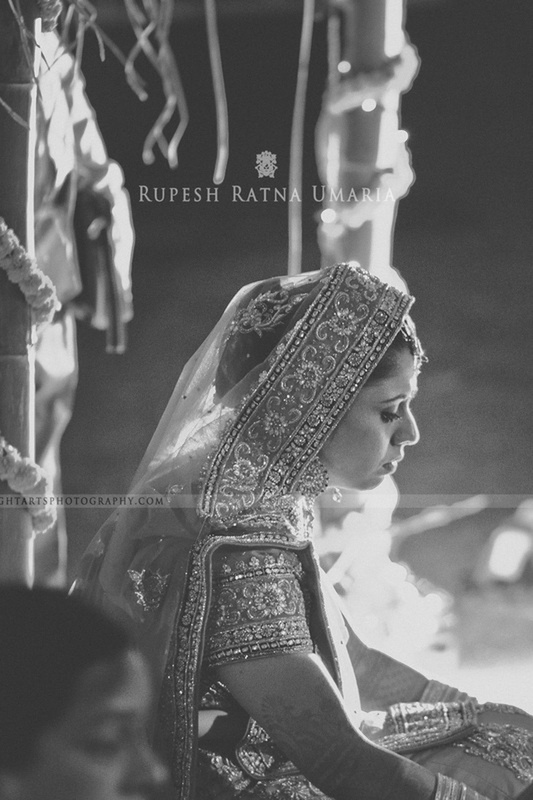 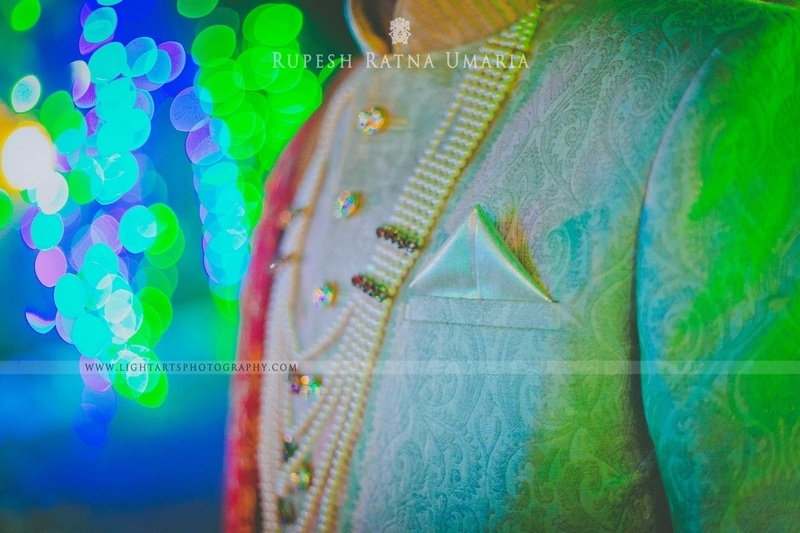 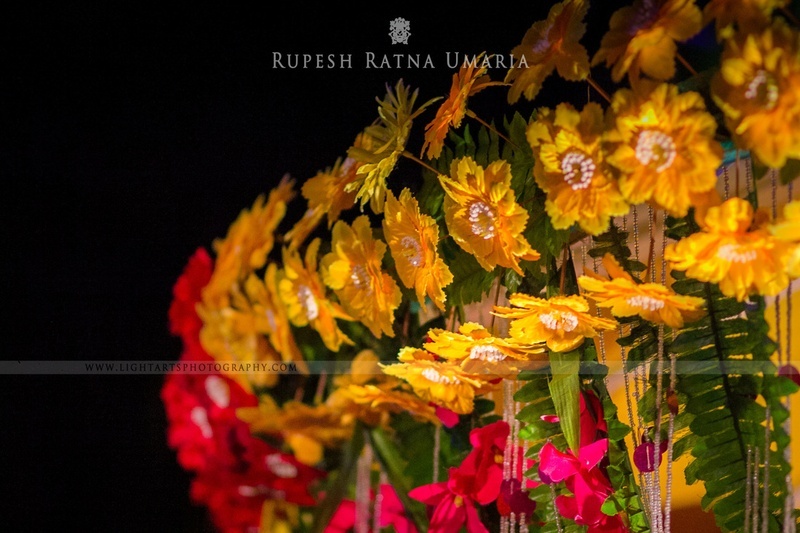 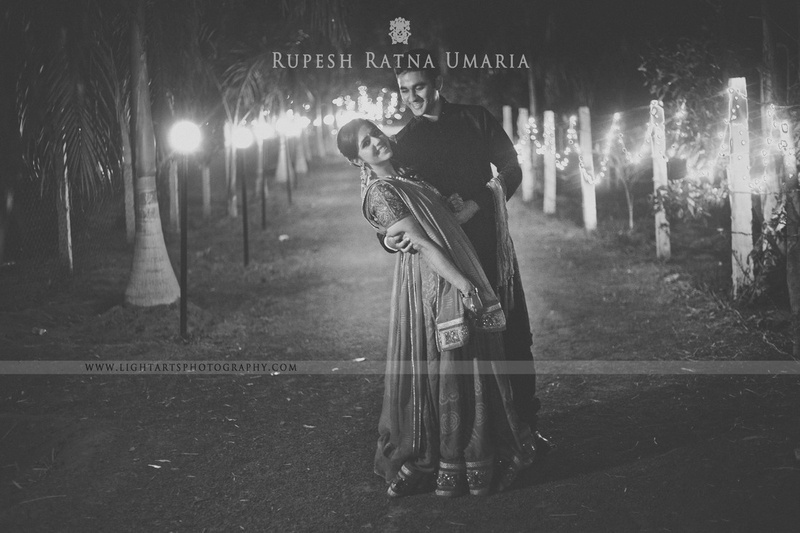 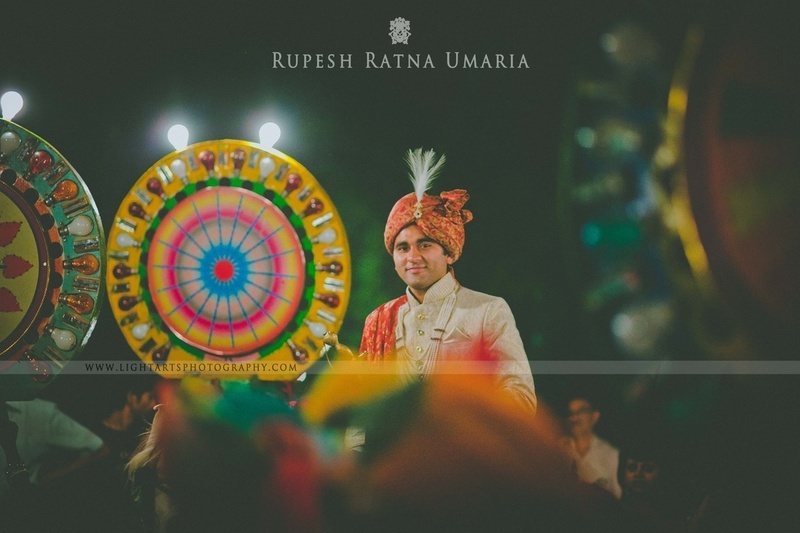 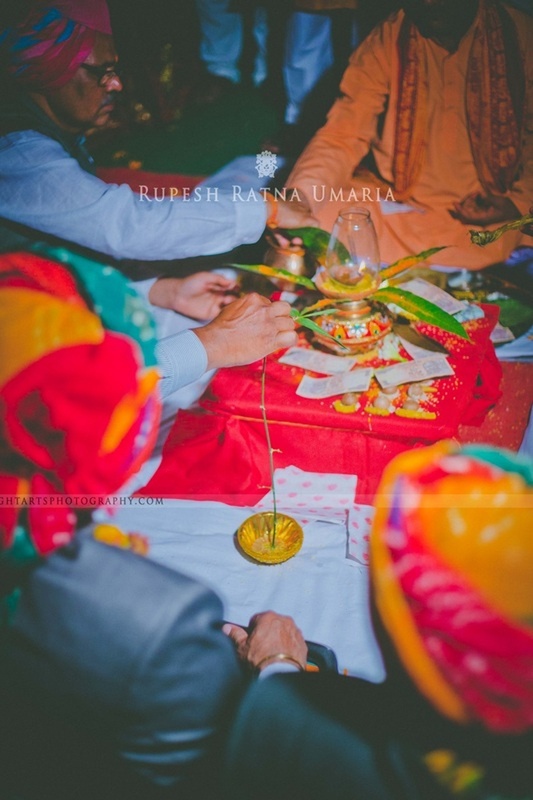 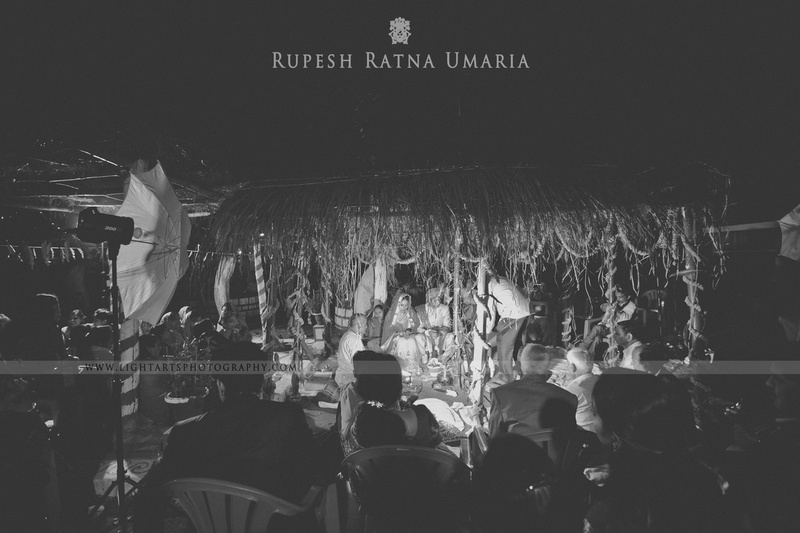 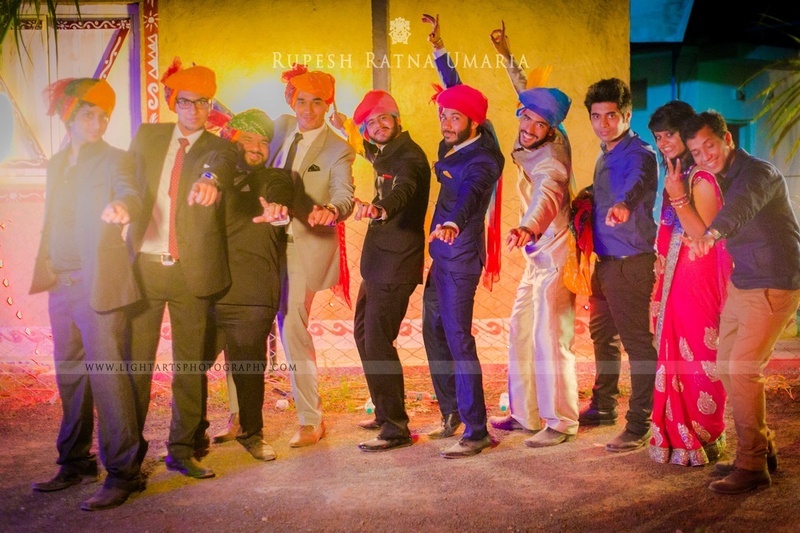 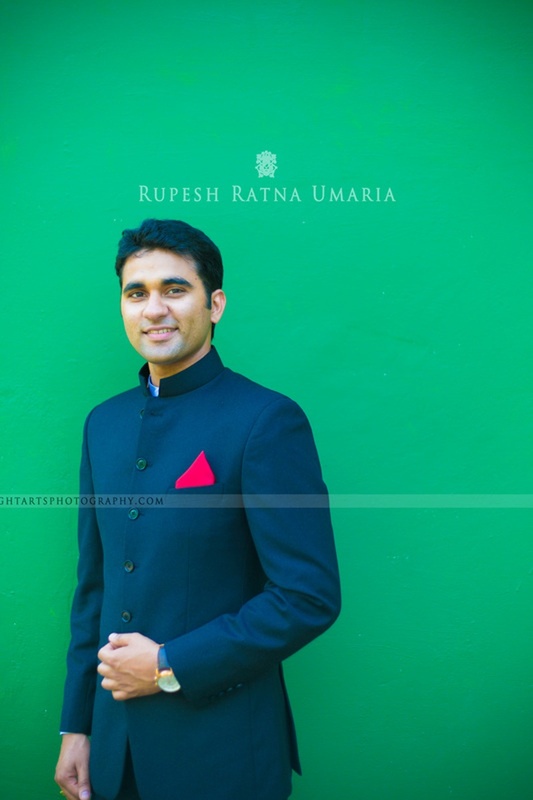 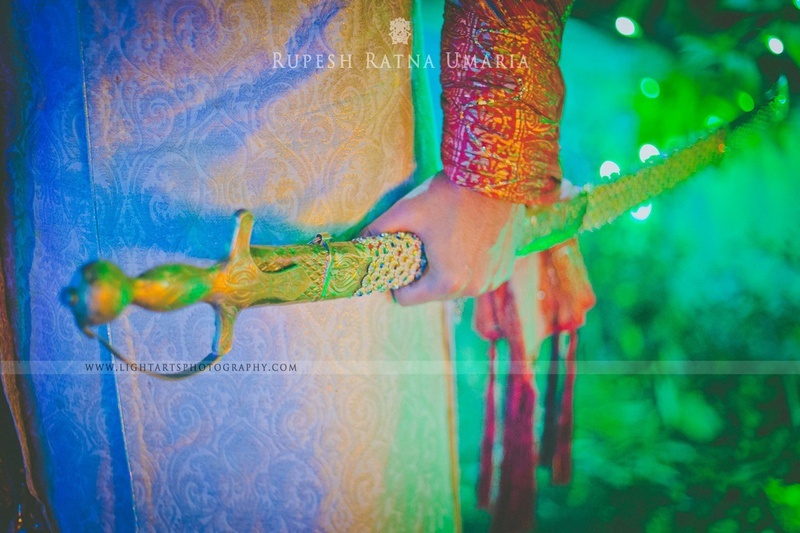 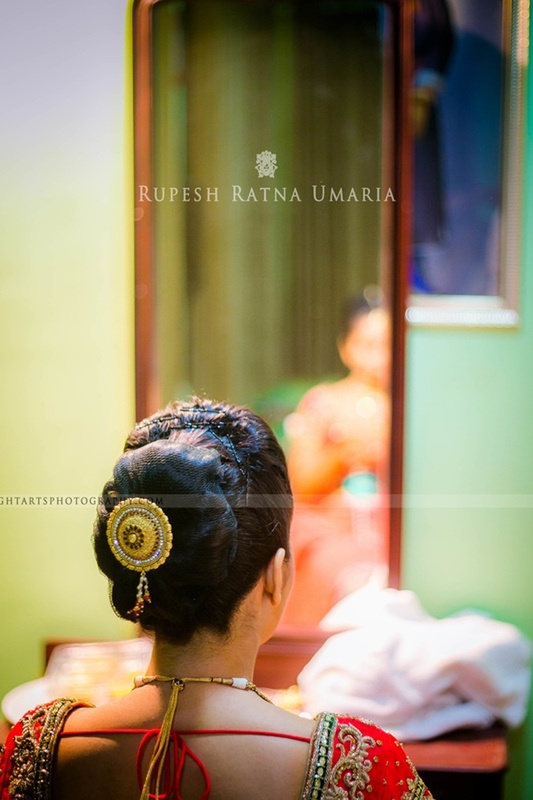 Rupesh Ratna Umaria and his team from Light Arts Photography did a brilliant job behind the viewfinder in capturing this traditional rustic union flawlessly.